Registration is now open for SDSI’s first Gateway Workshop. From idea to traction, the Gateway Workshop is the ultimate entrepreneur’s primer. We collaborated with members of the SDSI community to build this half day workshop that covers common sticking points for entrepreneurs looking to create and grow a business. The workshop will take place on Wednesday, October 17th and is open to all interested entrepreneurs, regardless of industry. Learn more and register. OffShore Surf is one venue offering food, bar, retail, and an authentic surfing experience on a standing wave. Wondering what it is going to look like? Take a look at the concept video. In a smaller footprint than their tech used at the Waco Barefoot Ski Ranch, OffShore will allow spectators and non-surfing guests to get a front row seat. This operation will be headed up by Greg Lombardo - read the full press release. The GASF’s purpose is to empower athletes regardless of their socio-economic status, develop facilities to improve performance, and contribute to the general growth and well-being of action sports. Their objective is to invest in the character development of current and future role models, regardless of their financial status, with the aim of enacting positive cultural impact on a global scale. The GASF just recently partnered with SDSI Member CA | TF who hosted our last Advisory Board Meeting. Visit the GASF website and sign up to be notified of any updates and take a look at the CA | TF website as well if you missed that meeting! Congratulations to SDSI Accelerator Grad and Advisory Board Member ElliptiGO for selling their 25,000th unit! After eight years and 24,999 units, their target customer remains the same: “The 25,000th bike was purchased by Shannon Kievman, a runner and a mother of four from Manchester, CO. Kievman was recently diagnosed with arthritis in both of her feet and sought out a way to keep working towards her running goals while reducing impact.” Read the full press release. In a few short weeks, there is a unique opportunity for San Diego's sports community to unite and raise funds to help the homeless in San Diego County. The Sports Banquet, which will take place October 23 at Petco Park, is an annual gathering of San Diego's sports community to do good through sports. This year's event will benefit The Lucky Duck Foundation, which is already having a meaningful impact locally to help alleviate the suffering of homeless individuals. We encourage you to support this important effort. More details on the event page. The new Surftech collaboration line for 2019 features the award winning previous models as well as a few new choices for 2019. Take a look at the highlights for the Stand Up Paddleboards, Paddles, and Leashes at the shop-eat-surf coverage or view the entire 2019 Surftech Catalog. Surftech also added a new integral team member to focus in on the Florida market as the lead sales rep for Surf and Paddleboards: Mark Mertens. Fitness professionals came from as far as Washington, D.C. to train with Cirque-It Fitness founder, Master Trainer, and SDSI Accelerator graduate, Elizabeth Skwiot, on September 8. Completion of the training allows trainers to coach Cirque-It Fitness classes at their home studio or club and earns them continuing education credits. Visit cirqueitfitness.com for more information and to sign up for a free workout at the San Diego location. Also, listen to episode 106 of The Fit Fifteen Podcast to hear more from Elizabeth. 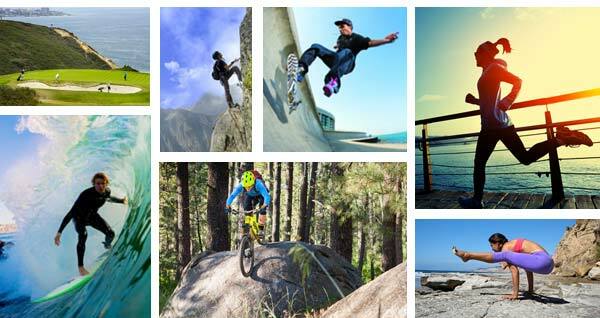 SDSI Accelerator grad, Slyde Handboards, will be featured in a company update for season 10. Originally airing on season 7, Slyde was able to secure $200k from Mark Cuban and Guest Shark Ashton Kutcher. If you missed their initial airing, check out the video recap highlighting the deal. Make sure to tune in to ABC the night of Sunday, October 14th to get caught up on what Slyde has been up to since they first appeared on the show. Inclusion is the new focal point for Reef's “Beach Freely” campaign and the company is now starting to add products that are more inclusive now including the Reef One, Escape Sling, and Reef Coast. Reef CEO, Roger Spatz, said in regards to the new branding “We also want to be very crisp in how we share our purpose. We are about uniting the world around the fun, freedom and spirit of the beach.” Read more on Shop-Eat-Surf. Founders Jack Doheny and Jake Solomon were featured in the San Diego Business Journal congratulating them on their strong retail presence aiming for $1.5M in seed funding. “In 2016, when Solomon presented the idea to Doheny to launch an all-natural energy drink that had no sugar, no dairy and no preservatives, based on cold brew coffee, they knew they had found their niche.” Read the full company profile at the SDBJ (subscription required). The event is about three months away, and is always a great time always a great time. But, similar to Comicon, in that people leverage their networks to secure tickets at the last minute… Why do that when you can get your tickets now and not have to pull strings from your cousin’s boss’s business partner? As expected, some areas are already selling out so get your tickets today. Visit the Farmers Insurance Open website for info on suite/ticket availability. Events.com has added yet another marquee road race to their list of clients. The 8.15 mile race is coveted as one of the 100 Great Road Races by Runners World Magazine. Additionally, Events.com has been selected as the official registration partner for Canada’s largest and oldest open water swim, Across the Lake Swim. The event organizer for Across the Lake Swim was most impressed with the benefit of the integrated sponsorship sales software to streamline sponsor outreach. Read the press release from The Great Aloha Run and the Across the Lake Swim. SportsPro re-ordered its 50 Most Marketable Athletes using the Hookit Marketability Score, which is based on social media reach, engagement, and promotion quality. At the top of that list is USA Snowboarding phenom, Chloe Kim. Chloe was one of only three athletes that share a top-10 ranking on both the Hookit scoring and the original 50 Most Marketable Athletes score. Read the overview for a deeper look. Learn more about two critical initiatives that will have a major impact on our region at a public forum on October 2. Nick Stone from SoccerCity as well as Jack McGrory and JD Wicker from SDSUWest will present information about their respective initiatives and answer questions. It's a great opportunity to get the facts before heading to the polls in November. Get out there and vote for one or more of these initiatives to help build sports infrastructure in San Diego! For the region to remain competitive, proactive measures to promote economic inclusion must be taken. The EDC and its Inclusive Growth Steering Committee continue their 2018 focus on creating a platform for inclusive economic growth and that achieves three main goals: 1) building a strong local talent pipeline 2) equipping small businesses to compete 3) addressing the affordability crisis. See how you can help by visiting the EDC website and sign up for news and research on inclusive growth. Have you considered building an Inside Sales team? Over the past 10 months, we have completed nearly 15 searches for SDRs (Sales Development Reps) or Inside Sales Managers, and the trend is showing no signs of slowing. While some corporations are continuing to focus on their traditional Outside Sales structure, many companies from Fortune 500 tech businesses to service-oriented start ups, are leveraging the effectiveness and efficiency gained by incorporating Inside Sales into their selling strategy. This is simply a direct response to the new buying cycle, whereby prospects no longer expect to be courted in person. Moreover, many buyers indicate that they care more about the technical knowledge of their account manager, than they do about the number of face to face interactions. In fact, IBM recently stood up its second 700+ inside sales office in the U.S. The San Diego and Orange County chapters of the AAISP (American Association of Inside Sales Professionals) are quite active, and provide a phenomenal resource to companies looking for guidance. Please contact Ken Schmitt at TurningPoint Executive Search if you are interested in a copy of the slide decks from the conference presentations.